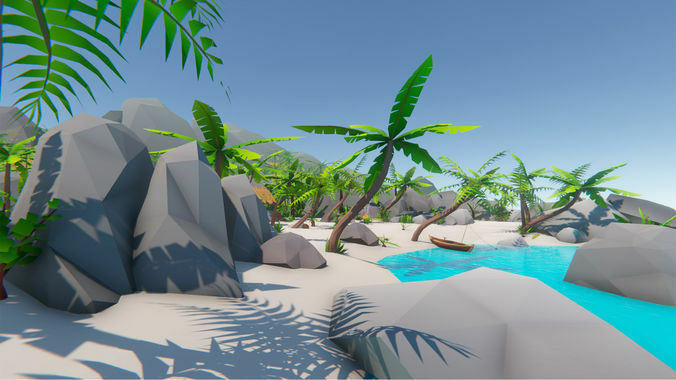 Build your own tropical island levels in no time with this asset pack - the individual FBX files can be used in any game engine and 3d software! A massive game ready demoscene is also included in the unitypackage . All screenshots directly taken from the Unity demoscene with the included post processing profile (for Unity's post processing stack). Explore the different areas in the demoscene: beaches, a fishing village as well as a jungle area. Performance for games: Everything shares one material and one texture, so everything can be batched together to save draw calls in most engines like Unity or Unreal / CryEngine.